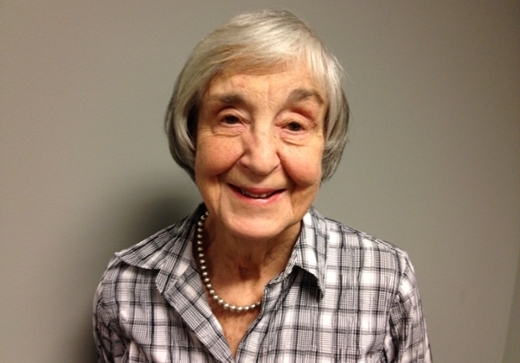 A national midwifery icon and Georgia public health leader, Elizabeth Sharp, died on Feb. 7. She was 82. Sharp was a nationally-recognized nursing leader in maternal and newborn health. She is credited with launching the nurse-midwifery graduate education program at Emory University’s Nell Hodgson Woodruff School of Nursing in 1977. This program continues to be one of Emory’s signature graduate programs. Sharp also helped the school forge a groundbreaking partnership with the Rollins School of Public Health to develop one of the nation’s first dual degree Master of Science in Nursing and Master of Science in Public Health programs. During Sharp’s tenure at Emory, she helped the School of Nursing establish significant community health initiatives to serve vulnerable populations in Atlanta. Because of her efforts, community health and service learning have become part of the fabric of the School of Nursing and they are a common thread that touches every course, every student, and every faculty member. In addition to establishing successful graduate programs, Sharp also served as the director of the nurse-midwifery service at Grady Memorial Hospital and held faculty appointments at Emory University’s School of Medicine, School of Public Health, and the Center for Ethics. Sharp played an instrumental role in advancing midwifery education and care by serving in significant positions for the American College of Nurse-Midwives, the Georgia Board of Nursing, the Georgia Task Force on Midwifery, and the March of Dimes. During her lifetime, Sharp received numerous accolades for her contributions to nursing. She received the Distinguished Alumna Award from Yale University and the Distinguished Nursing Achievement Award from Emory University. She was named a fellow of the American Academy of Nursing and the American College of Nurse-Midwives (ACNM). In 1999, she received ACNM’s most prestigious honor, the Hattie Hemschemeyer Award for her meritorious service to the development and advancement of midwifery. A memorial service will be held on March 14 at 2 pm at Trinity Presbyterian Church, 3003 Howell Mill Road; Atlanta, GA 30327. Memorial gifts can be made to the Elizabeth Sager Sharp Endowed Scholarship to benefit nurse midwifery students at Emory’s School of Nursing. For more information about making a gift in Dr. Sharp’s honor, please call 404-727-6917.